The album has been three years in the making and bears no hint of compromise as Nina demonstrates her unique talent for acute lyrical observations and ear-worm melodies. Heralding a musical change of direction from Nina with more obvious pop influences, the album is a scintillating journey through a whole range of genres and moods. “I'm so proud of this album,” she says. 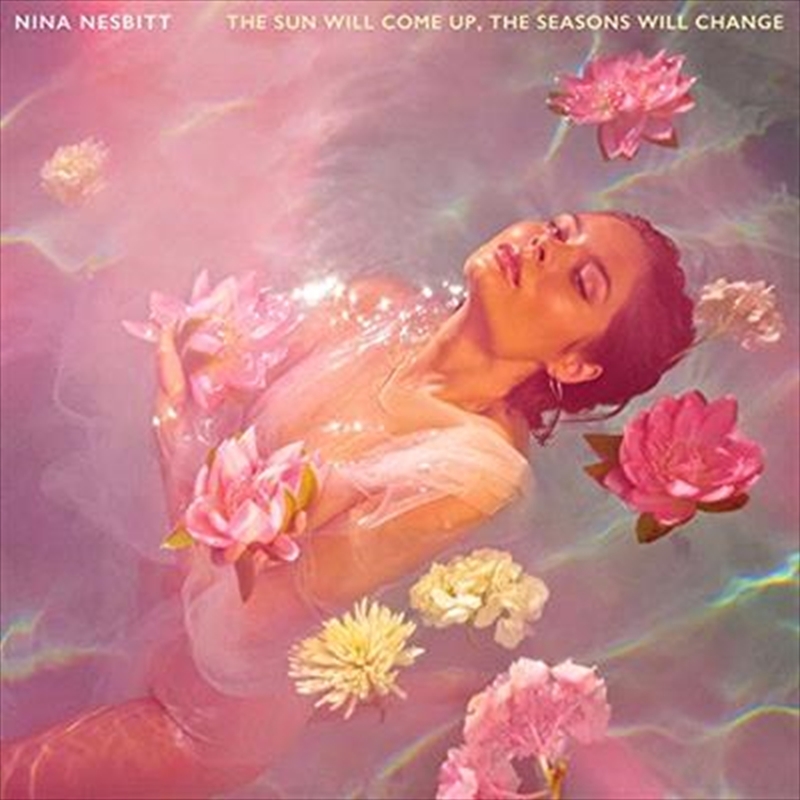 “I want something sacred, I want something amazing” Nina Nesbitt confesses in the opening moments of her long awaited and very personal sophomore studio album. ‘The Sun Will Come Up, The Seasons Will Change’ is a record that doesn't hide her emotions. Nor does it try to be anyone else, it’s just purely her in the most raw and vulnerable way. During the opening number ‘Sacred’ she reflects on the dark side of fame and how it’s affected her relationships and mental state before further exploring it on the records most autobiographical track ‘The Moments I’m Missing’. The free flow of the verses will have your head nodding along while your heart will sink during the revealing chorus. From these opening moments it’s pretty clear that this record is going to be very different compared to her debut offering whilst she goes towards a heavy pop influence with the anthems ‘Colder’ and ‘Somebody Special’. She even experiments with latin influences on the early Christina Aguilera inspired ‘Loyal To Me’ and ‘Love letter’ which will have you feeling nostalgic with the groovy production. But it’s the emotive ballads that will have your heart feeling heavy, your eyes getting watery and have your thoughts racing. The indie pop ballad ‘The Best You Had’ is an honest reflection of how she allows herself to move on and feel okay after a relationship ended. And it’s exactly how I felt when my last relationship suddenly ended. “Cause it's crazy that you’re moving on so fast. But, baby, it's okay if I am still the best you had”. She then gets conversational on ‘Is It Really Me Your Missing?’ where she desperately questions “Am I the only number that you've tried? Or is it just another lonely night?” before she gets her hopes up again. She then moves on from the relationship and starts falling in love again on ‘Things I Say When You Sleep’ where she gets afraid of getting hurt from what she wants to say to someone. It’s these sort of confessionals that will have you growing such an emotional attachment to this record because it’s real and personal. It makes you feel like she’s written about the vulnerable times in your life and have this weird understanding to everything you may have felt in your past. It also makes the slightly forgettable songs ‘Empire’ and ‘Last December’ irrelevant because everything else is so strong and captivating. She then wraps the record up with the reflective and therapeutic title track ‘The Sun Will Come Up, The Seasons Will Change’ where she explains that nothing negative in your life is permanent. It’s a very simple and beautiful way to close the album and perfectly enraptures all the feelings and emotions she addresses in this bold collection that re-introduces her as an artist.